Everything that you love about Alexa in the home is now available in the comfort of your own vehicle. Yes, that’s right, with this deal you can pick up a Garmin Bluetooth-based accessory that thrusts Amazon’s Alexa into your car or van to bring immediate voice control. It doesn’t take someone with a formal qualification on rocket science to understand just how wildly popular Amazon’s Echo hardware and underlying Alexa voice assistant has become. The affordability, variation, and overall quality of Amazon’s hardware have meant that a lot of homes in supported countries have one or more Alexa devices in them. Now, thanks to the onslaught of products like this Garmin offering, it’s time to take that next step and bring Alexa into the car. This handy little gadget first and foremost comes from an extremely reputable provider in Garmin. The company is more commonly known for putting together first-class navigation hardware but has also tilted its hand into the automation ring by combing an Alexa skill with its own navigation expertize. That means you get a light-weight product with an extremely small physical footprint which sits nicely in your vehicle and puts Alexa right at the end of your tongue. The Garmin Speak connects to your Bluetooth-enabled smartphone with the Alexa app already pre-installed and uses the cellular data connection to do what it needs to do. It offers immediate voice control that is capable of controlling your home-based hardware – as long as it’s set up in the Alexa app. 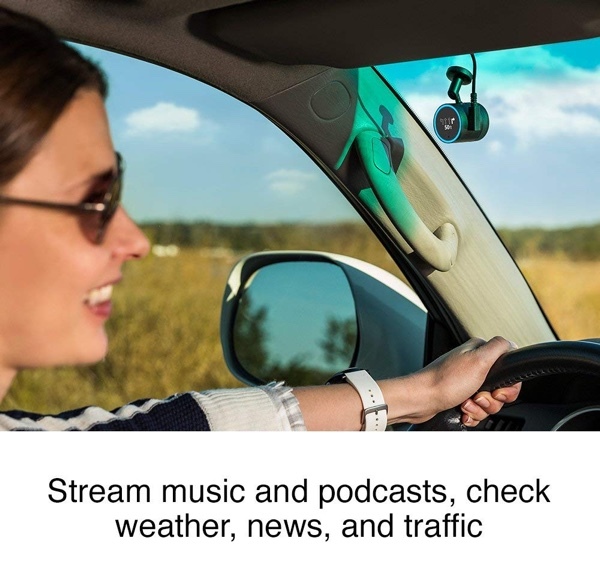 It allows you to stream music through your vehicle via a connected music service. It even lets you use the Garmin Alexa Skill to immediately get turn-by-turn navigation directions directly on the hardware itself. If you have access to the Alexa Skill, then this affordable piece of equipment is going to give you access to it, via voice, and directly in your vehicle. It’s great to see that manufacturers are starting to think about products that bring Alexa to other areas other than the home. And now, thanks to this offer, this could be yours for just $49.99 rather than the usual $70.00 asking price.